Antique French Porcelain Perfume Casket with Beautiful Hand Painted Flowers Throughout and Cherub Miniature. 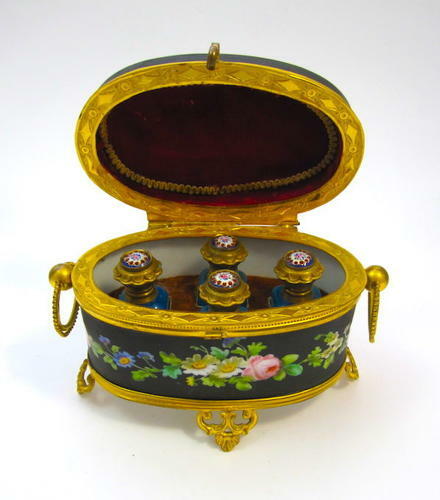 The Inside with 4 Original Blue Opaline Perfume Bottles with Enamelled Jewelled Tops. The Dore Bronze Mounts Intricately Chiselled. Double Loop Handles and 4 Scroll Feet.